We’re excited to announce the latest video series and podcast from Paste Magazine: What Do You Love?, hosted by Paste founder and editor-in-chief Josh Jackson. Each week, we’ll bring you a new guest talking about the music, movies, TV shows, books and—importantly—drinks that have them excited. 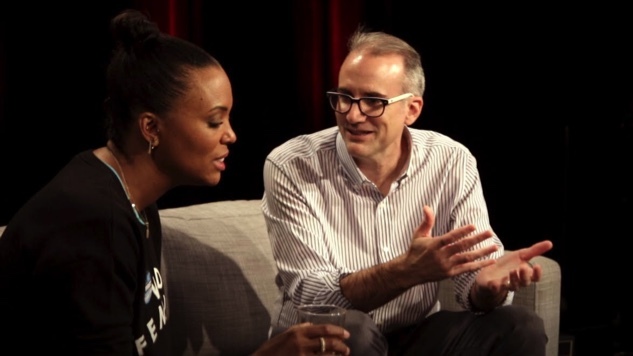 The series, filmed at the Paste Studio in Midtown Manhattan, kicks off with a conversation between Jackson and actor/comedian/director Aisha Tyler about a few of her favorite things, including The Reapers Are Angels by Alden Bell, Friday Night Lights (the movie), and her own new Courage+Stone brand of pre-mixed Old Fashioned.